Week 2.5, originally uploaded by pinkestblack. Getting better @ 2.5 weeks (This is an old photo). I still had one stitch on, but the incision was almost completely closed. 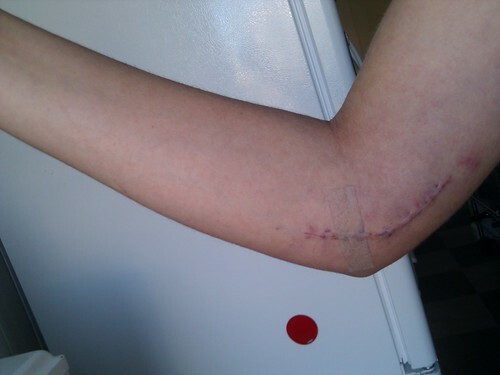 Arm is still stiff and swollen here.